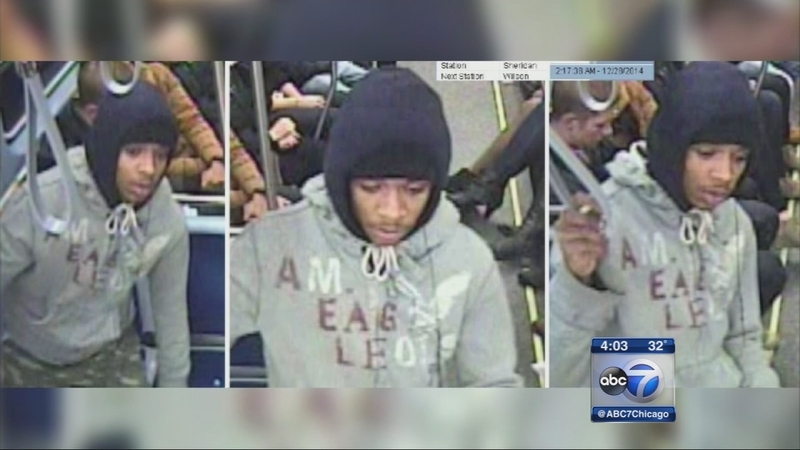 CHICAGO (WLS) -- Police have taken a 17-year-old into custody in connection with a series of CTA Red Line robberies in the city's Uptown neighborhood, officials said. In the latest incident on Jan. 14, the offender allegedly grabbed a female victim's cellphone and ran off the train near the Wilson station in the 4600-block of Broadway around 10:45 p.m, police said. A similar incident was reported on Dec. 28, 2014 around 2:15 a.m.
Police obtained the suspect after receiving tips when surveillance photos were released. The teen faces two felony counts of robbery.